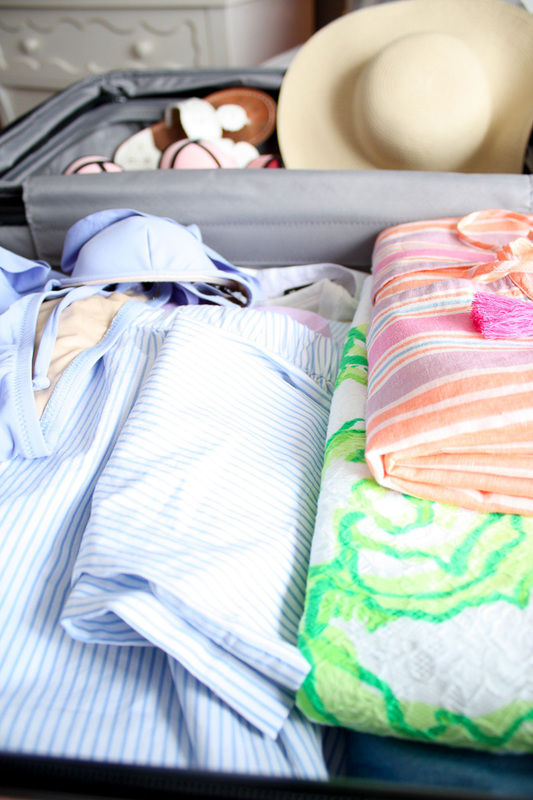 Faith and Fancy : Florida Packing List! T minus one day until sunny skies and much warmer weather and I cannot wait! New England decided it wasn't over winter yet and brought back the bitter temps this weekend (ugh). On the plus side, what better time to be saying sayonara to the cold Northeast and hello to beautiful Florida for a week! As excited as I am for the change of weather, I am equally as excited for the wardrobe change that comes with. Although it will be brief, I can't wait to ditch my flannels and sweaters for a much more warm weather appropriate wardrobe. Even if just for a week, I am thrilled to be able to throw on sundresses, bathing suits, and all the off-the-shoulder tops! 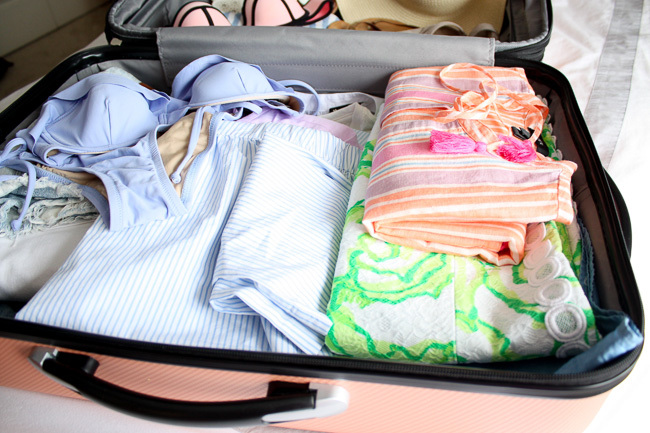 I wanted to share what I'm packing for a week in Florida in case you have any fun spring break plans coming up! Even if you don't, the contents of my suitcase can serve as a bit of inspiration and a dose of what is to come - hopefully sooner than later! Some of my favorite pieces I picked up this season are this adorable off-the-shoulder top, these striped pajamas, and this perfect beach cover-up. 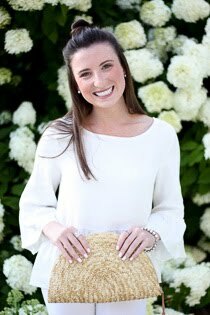 Of course no beach getaway is complete without the classics - white Jack Rogers, a straw floppy hat, and white skinny jeans. Of course there is much more than that in my suitcase! 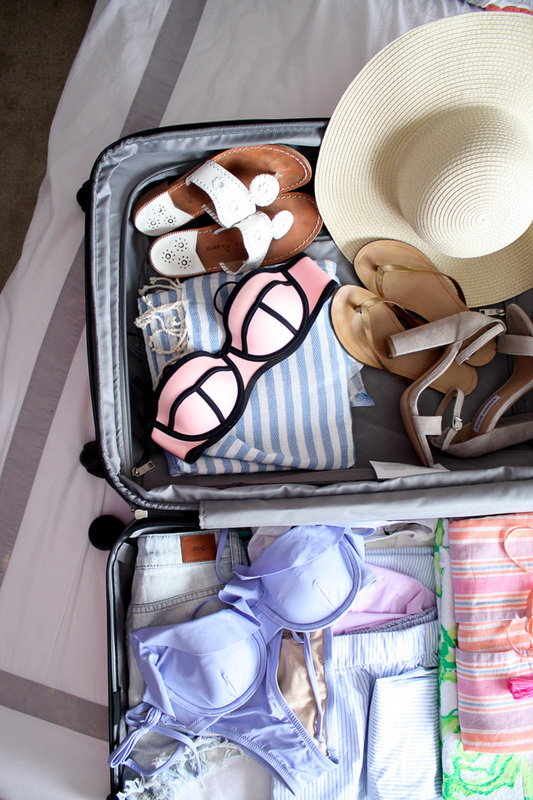 Light packing has never been my strong suit, but hey, I like to always be prepared! 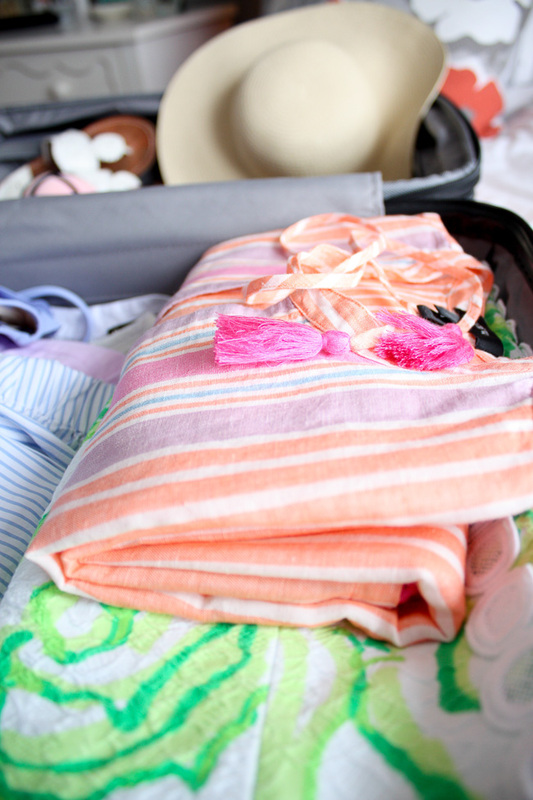 To shop all that is coming with me to Florida, check out all the links below. I hope this serves as some sunny inspiration for a warm destination. Enjoy!